Radical transformations of meat production methods are required to keep up with global doubling of demand in the decades to come. It is very unlikely that this demand will be controlled by wide spread life style changes. At the first signs of an inevitable meat crisis, e.g. a steep price increase, consumers will be ready to look at alternatives that come as close to regular meat as possible. I propose to pursue the feasibility of culturing meat from bovine muscle stem cells, leading to so-called “cultured beef”. 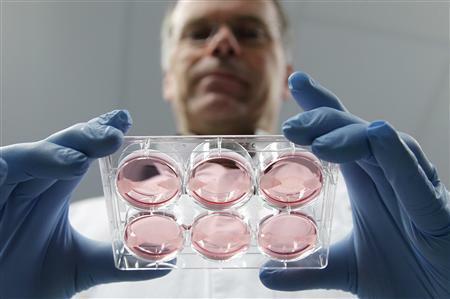 The cells can be obtained through a biopsy and from a few cells one can grow –in theory- 10-50 metric tons of meat. The stem cells are designated muscle precursor, so that there is no risk that they will develop into other tissues. The cells are used “as is”, without any modification other than that they are grown outside of the animal body in conditions that closely mimic the natural environment. By controlling every detail of the growth process, we can design it to be much more efficient than the cow in converting feed into animal protein. What is more, the process can be easily transferred to meat from other animals, for instance those that are at the brink of extinction as a result of human consumption. By using the cell’s capacity to make healthy fatty acids through proper feeding, the cultured meat can healthier than the livestock grown product. The tissue culture technique to grow meat is relatively straightforward and relies mostly on the innate tendency of these muscle stem cells to merge into muscle cells, and then self-assemble into a muscle fiber when provided with two opposing anchor points (the “tendons”). Alternative methods to grow the same tissue include 3D printing, which differs only from culturing beef in assembling the muscle cells in a desired cut of meat, instead relying on self-assembly. Culturing beef from easily available stem cells might be an efficient way to produce meat as we know it, without much less burden on the environment, land and water and with much less animal suffering. This is not just a crazy idea; in fact, the first hamburger made entirely through cell and tissue culture is ready to be presented to the public as a “proof of concept”. The discussion should henceforth not be if culturing beef is feasible, but on how to make the process efficient and cost-effective, so that it becomes a consumer item. Is this the only solution? Probably not. If we can figure out a way to reduce wasting of food and in particular of meat, current production will go a long way in feeding the growing population and consumer base of meat. Given the gravity of the imminent meat shortage, we should bet on as many horses (not eating them) as we can and look at a multitude of possible solutions, including radical ones such as culturing beef. How can culturing beef play a role in the future of sustainable meat production? 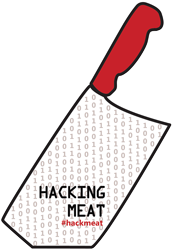 Share your thoughts in the comments below, on Twitter using #hackmeat,on Facebook or Tumblr. Dr Mark Post received his medical degree from the University of Utrecht in 1982. After a brief period of surgical residence partly while in military service, he continued his PhD training in Pulmonary Pharmacology under supervision of prof A.J.Porsius, University of Utrecht, and graduated in 1989. He joined the Experimental Cardiology group of prof C.Borst to set up a Vascular Biology program and was from 1989 to 1996 senior investigator at the KNAW Interuniversity Cardiology Institute of the Netherlands. After an interim period of 50/50 ICIN/Harvard appoinment, dr Post was appointed full time assistant professor in Medicine at Harvard Medical School, Boston, MA. In 2001, he moved with his lab to Dartmouth Medical School, Hanover, NH, and was appointed associate professor of Medicine and of Physiology. 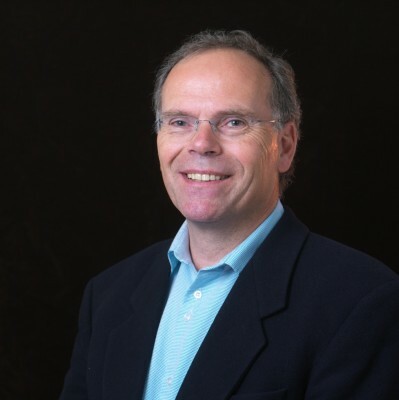 A year later, in july 2002, dr Post returned to the Netherlands as a professor of Vascular Physiology at the Maastricht University and professor of Angiogenesis in Tissue Engineering at the Technical University Eindhoven. He is the Chair of Physiology at Maastricht University and vice dean of Biomedical Technology. His main research interests are angiogenesis/collateral formation and vascular healing and remodeling after arterial injury.